As we all know, black and white is timeless. It will look beautiful wherever you use it and no matter how long it is there. It is the color combo that never goes out of style no matter what new trends come. 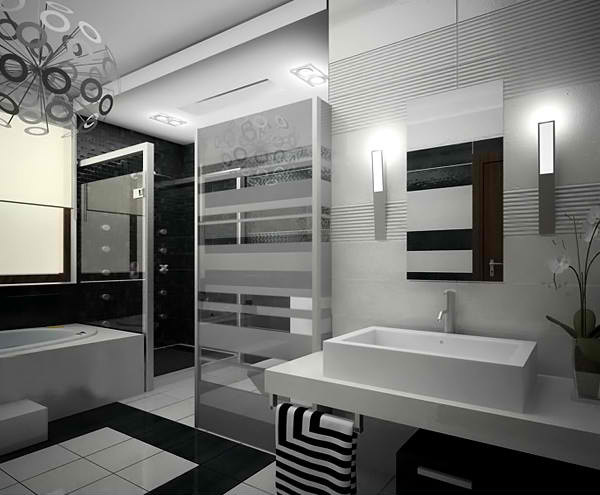 That is why, black and white is one of the favorite colors used for a home interior even for a bathroom. Some spaces with this color would also look good with the addition of other accent colors to it to give it more life and zest. 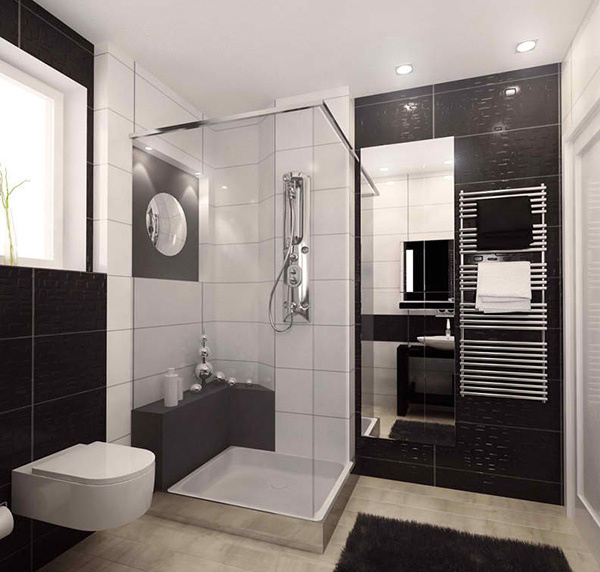 Today, we will be showing you a list of modern black and white bathroom designs to give you ideas on what you can do with your own modern bathroom. 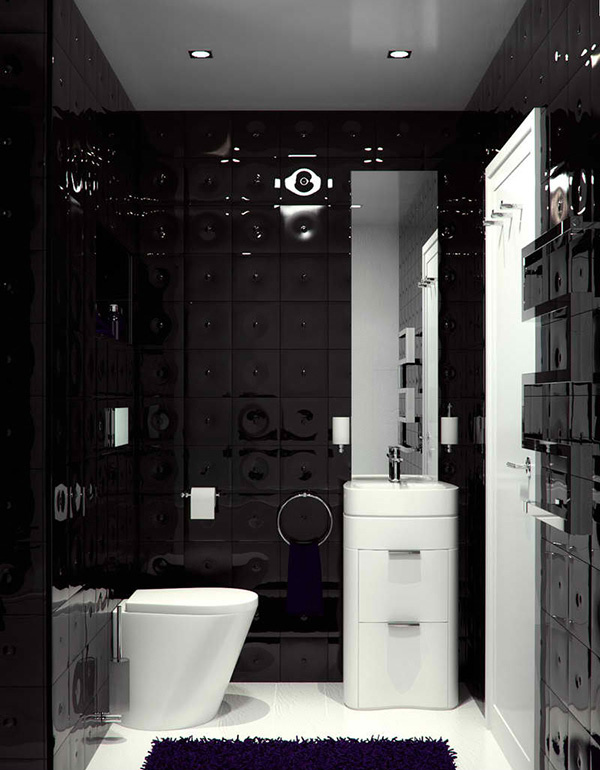 Despite using the same colors, the interiors that you will see below have variations of application that will surely encourage you to play with your own bathroom design in black and white. Aside from the color and modern look, the 20 bathrooms you will see below all have that sleek and neat look in them that might even make you shy away from stepping on their shiny flooring. 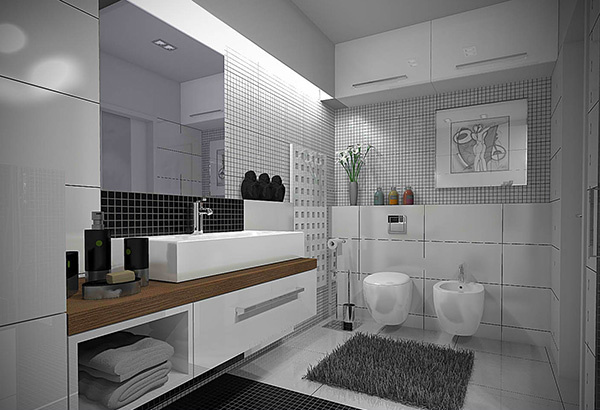 A small bathroom can look great with black and white if done this manner. You can see that black glass on the side that leads to the shower area while one black wall at the far end has inset shelves on it. 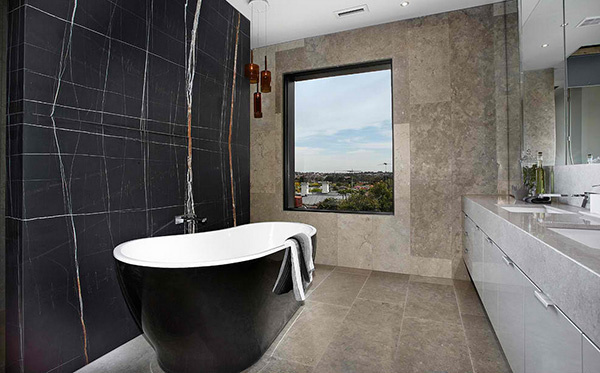 Adding wall tiles of varying shades of black will create an interesting appeal. A curbless shower wherein the tile is sloped toward the central drain and is large enough that very little sprays gets beyond the doorway. The combo of white, black and wood here is pretty nice. 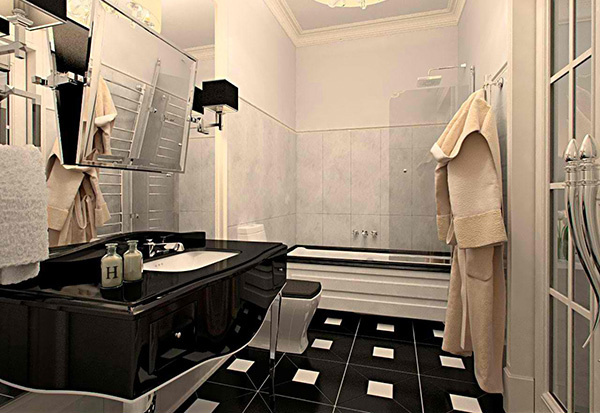 It is okay to pair black and white with another colors just like what they did with this bathroom. We like the wall texture in white as well as that floral mural. 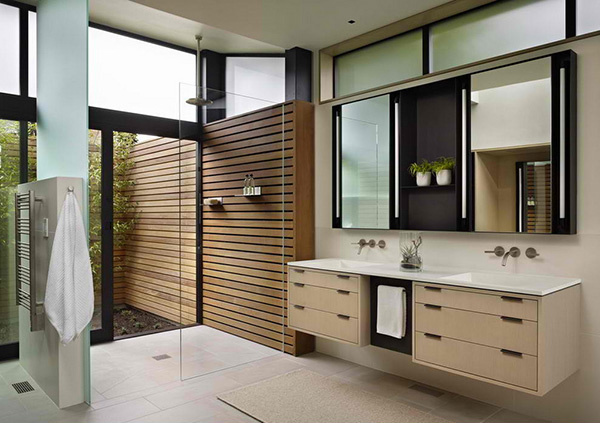 Stripes and lines are seen from this black and white bathroom that has modern illuminators. Isn’t that a lovely wall? We really like it especially the addition of some blue violet accessories. 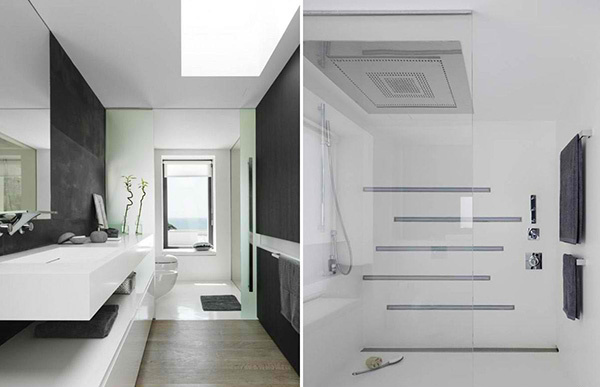 This bathroom knows how to use the idea of “inversion” in its application of black of white. 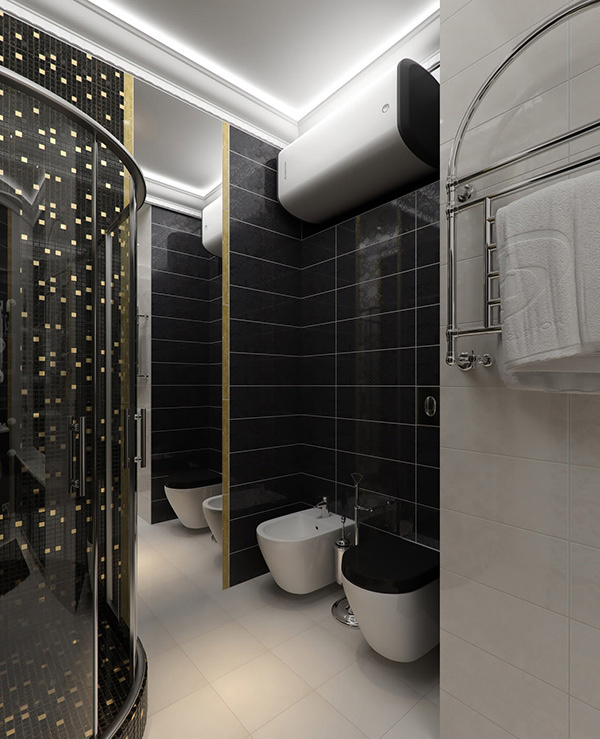 Add a little gold to a bathroom in black and white to get some dash of sophistication and sheen. The bathroom vanity and the shower area of the bathroom are seen here with our fave combo used creatively while retaining that sleek look. 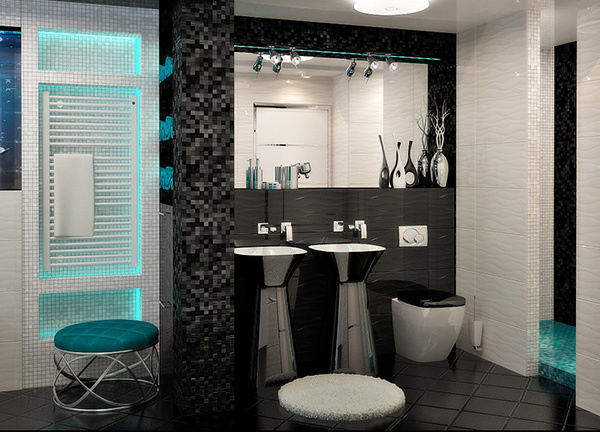 That green ottoman and green lighting lends an intriguing appeal to this black and white bathroom. Black really looks more beautiful when it is glossy and it plays well with matte white. 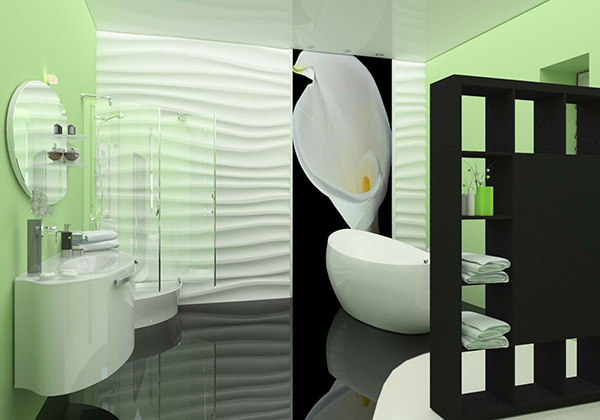 Green is also the accent color of this bathroom same as some spaces we featured above. Aside from the bath tub, the wall looks very interesting and extraordinary. 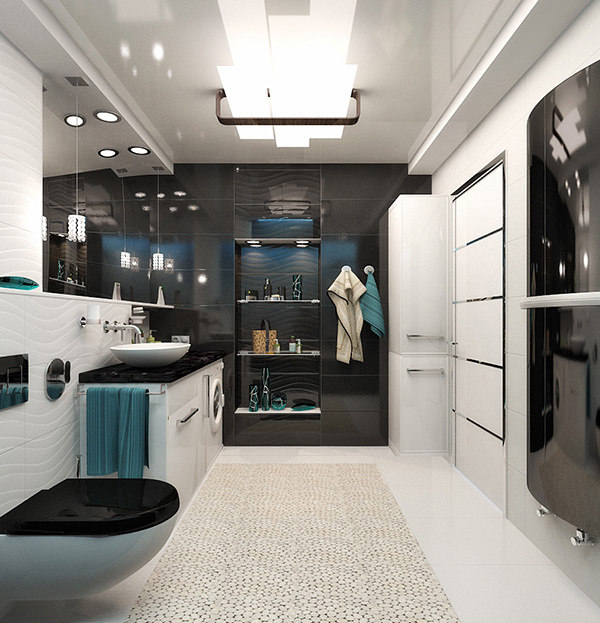 This modern bathroom may look simple but it sure is loud! 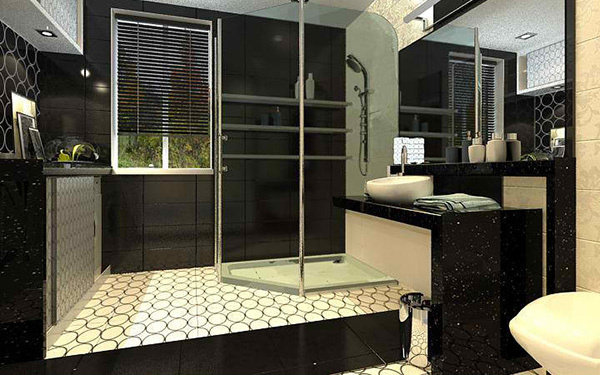 Circles on the floor and on one side of the wall alleviate the modern style of the bathroom that staged a glass shower enclosure. 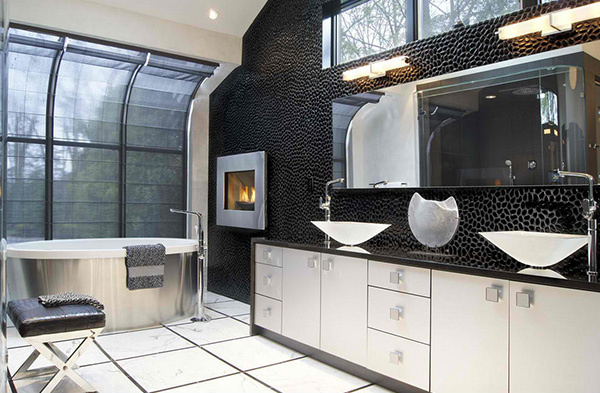 A bathroom with a fireplace and an interesting wall design in black. It looks neat and somewhat airy due to its high ceiling and glass windows. Small yet beautiful. What makes this modern bathroom look more gorgeous is the addition of flowers on the vanity that blossoms more life into the space. This is a masters bathroom enclosed in glass but establishes a connection to the bedroom. 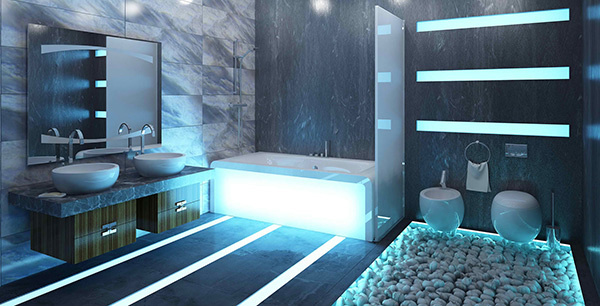 Stones, vertical lights and marble walls- what more could you ask for a bathroom? 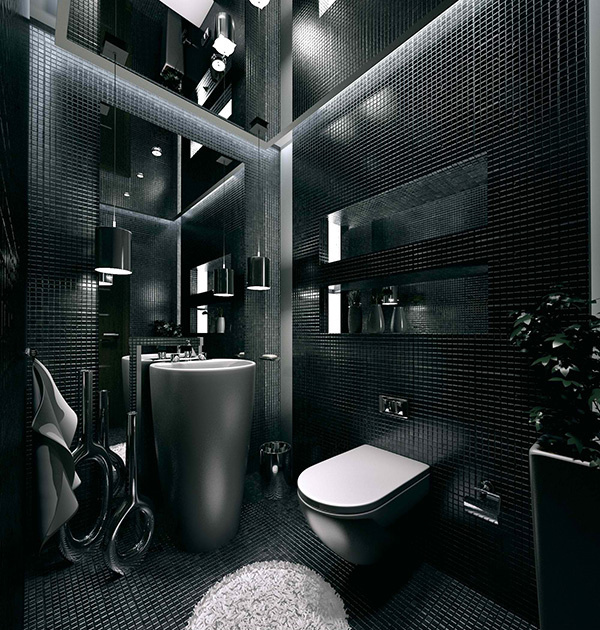 You could feel the sophistication of this bathroom with a glossy black and white floor tiles and lovely black trimmings on the bath tub. Well, the guests will surely feel welcomed if the bathroom is as beautiful as this! 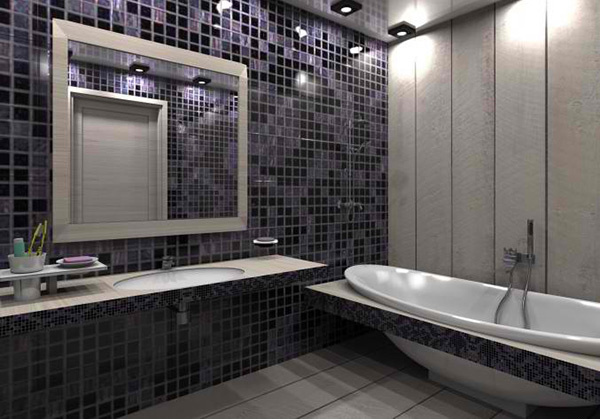 The mosaic black walls add more texture to this bathroom with dark hues and some white colors too. This sure is a blast! 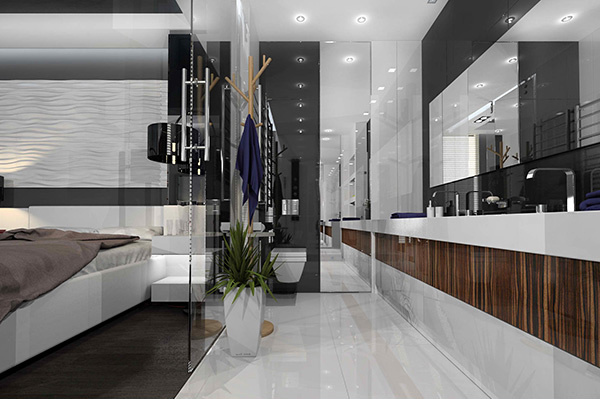 The modern black and white bathroom designs above are more than just sleek and beautiful but it can no doubt offer the comfort every homeowner needs from a bathroom. Aside from this list, you can also take a look at wooden bathrooms which has that organic feel in it while looking up to date in its designs. Be back for more design ideas here on Home Design Lover.